It’s been a bit quiet on the blog this last few weeks. I’ve been busy assembling/kit bashing/scratch building both miniatures and terrain pieces so have lots on the go but nothing’s finished yet and can’t show anything new. Given I’ve finished my Frostgrave project recently I thought I’d put a few completed group photos of it on the blog, starting with Warband Combatants. The plan will be to re-paint all the bases for these adding mosses/dried grass etc. First some Wizards. The snow mix I used when I originally did these has discoloured considerably. I dislike snowy bases. I dislike yellow snow even more. These are top of the list for rebasing. 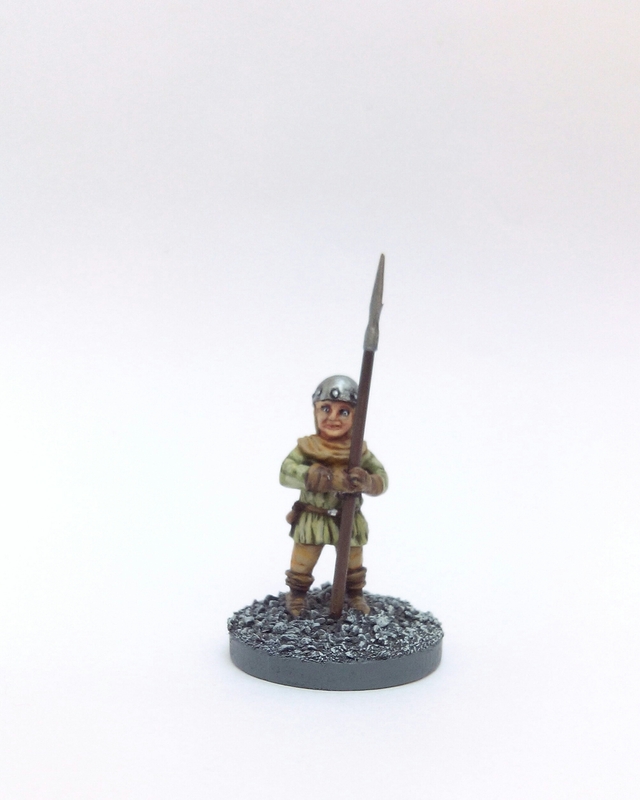 A selection of Warband Combatants. A mix of both metal and plastic figures from various manufacturers. 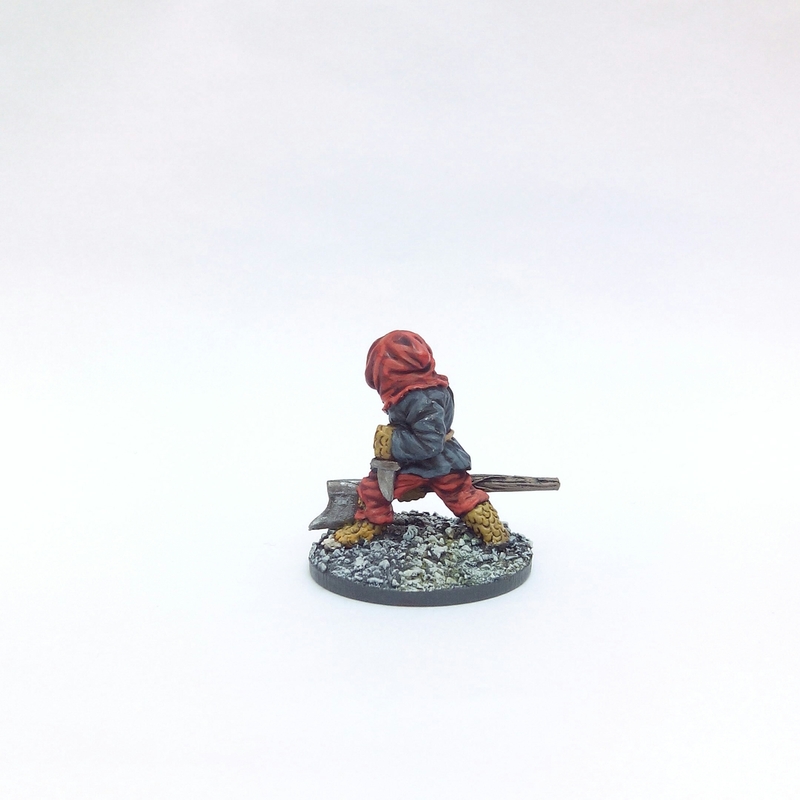 Seems I’m missing the last 3 Essex Miniatures I painted. Treasure tokens. Also looks like I’m missing the Citadel demon brazier for this photo. Next time I’ll cover the random encounter creatures. This entry was posted in 1985-1990, Post-1990, Pre-1985 and tagged Barbarian, Brettonian, Citadel, Dark Art Studio, Essex Miniatures, Fireforge, Frostgrave, Games Workshop, Grenadier miniatures, Harry the Hammer, kit bash, Knight, Marauder Miniatures, Men at Arms, Thief, Treasure Hunter, Wizard on September 24, 2017 by Hobgoblin Orange. 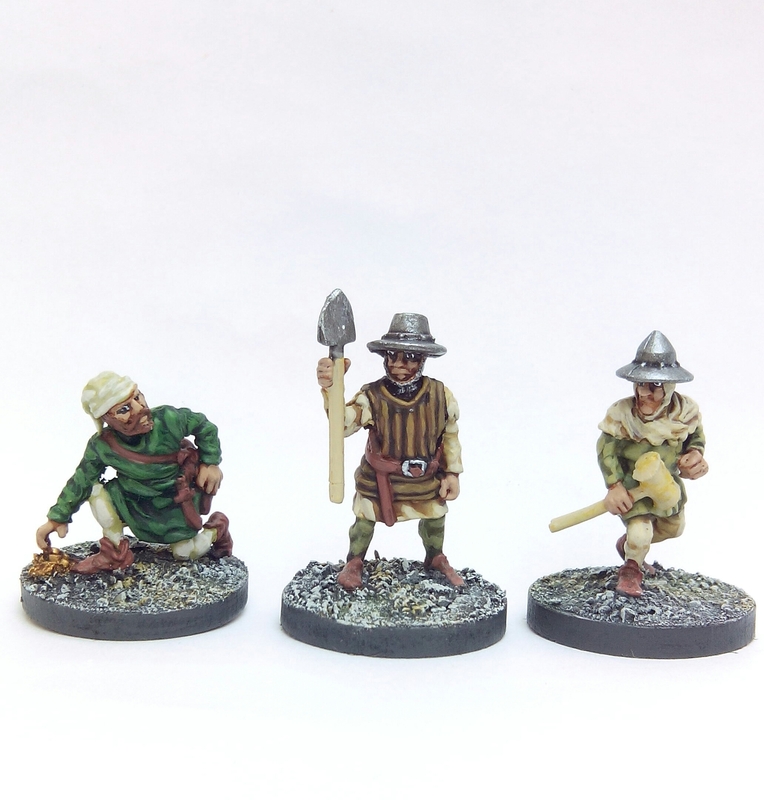 A trio of Thieves and Treasure Hunters here for Frostgrave from Essex Miniatures. The first two have come from Essex’s Medieval Sapper/Miner range. The stooped Thief is from their Fantasy section. This entry was posted in Pre-1985 and tagged Essex Miniatures, Frostgrave, Thief, Treasure Hunter on September 3, 2017 by Hobgoblin Orange. Another couple of the miniatures from Essex painted up. 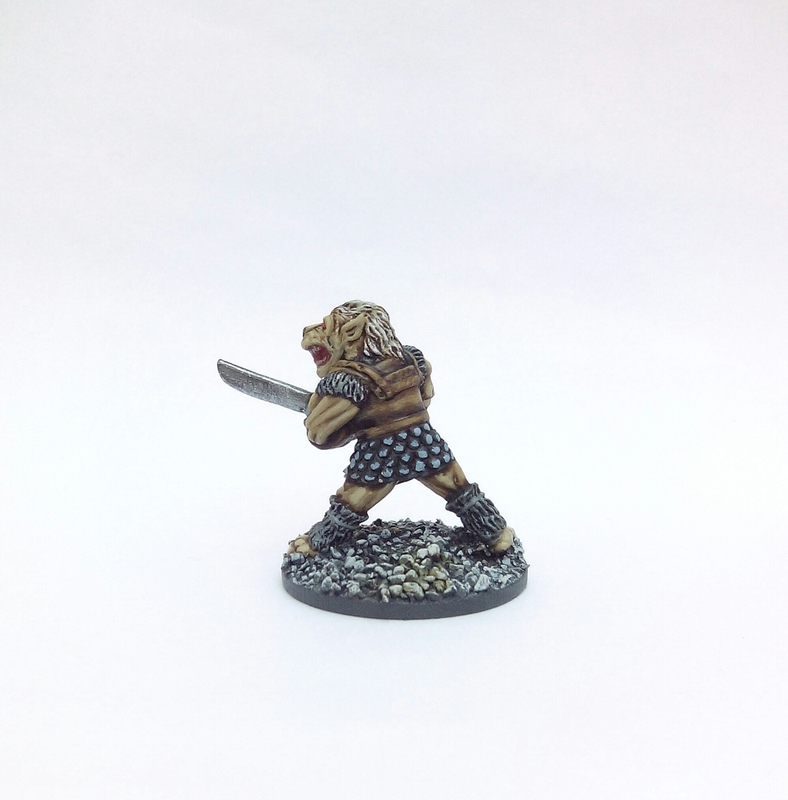 Next up is a ‘Gnoll: with Cutlass’. At some point in time it was universally settled that Gnolls would be based on Hyenas rather than just being vaguely canine. This miniature predates that. 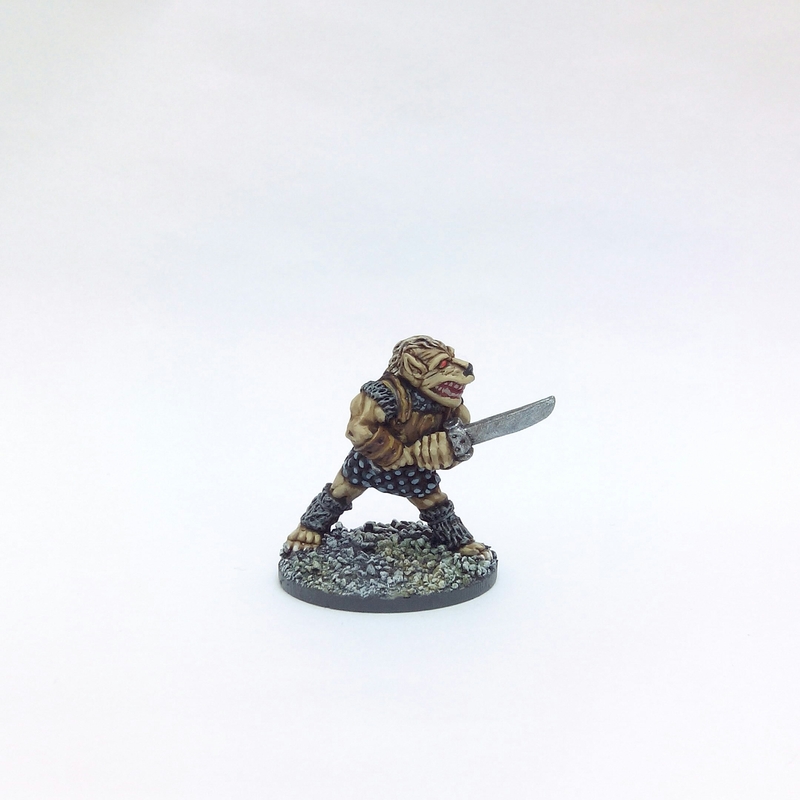 This entry was posted in Pre-1985 and tagged Essex Miniatures, Gnoll, Scaley Orc on August 27, 2017 by Hobgoblin Orange. 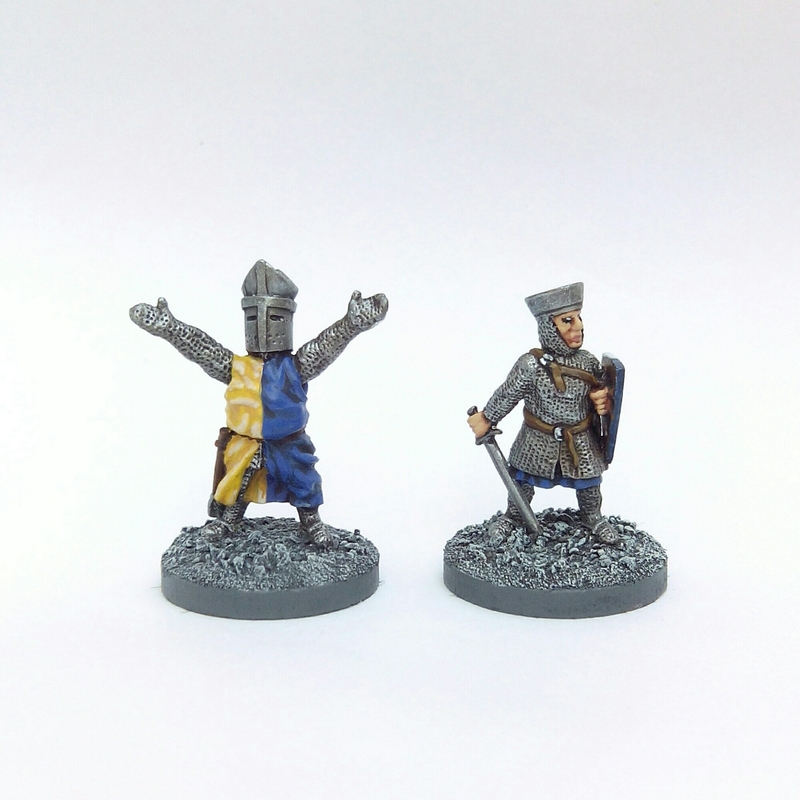 Back in the mid 80s my old friend ‘L’ introduced me to Essex Miniatures via a couple of Medieval and Roman figures he’d picked up at a Wargaming Show. I sent off for a copy of the Essex catalogue and spent far too much time flicking through it wondering just what the ‘Wizard in hood with magical staff’ or ‘Early Medieval Spearman in Scale Corselet and Helmet with Shield’ looked like. Back then, pre-digital, many small companies couldn’t afford to produce decent photographic images of their miniatures. You had to hope the imaginative descriptions applied by the manufacturers didn’t end in uninspiring lead blobs plopping through your parent’s letterbox 3 weeks later. To be fair Essex did occasionally advertise in White Dwarf with photos. Although their products looked okay they weren’t strong enough to hook me in as I was preoccupied by Citadel Miniatures like a lot of kids in the hobby back then. Other manufacturers rarely got anything more than an annual request for a catalogue from me. Come the early 90s my tastes had expanded beyond Games Workshop and I starting to get interested in historical wargaming with rulesets like DBA played with 15mm figures. Miniature Wargames Magazine occasionally showed Essex Miniatures in photos accompaning their articles and expansions for DBA. My interest piqued again. 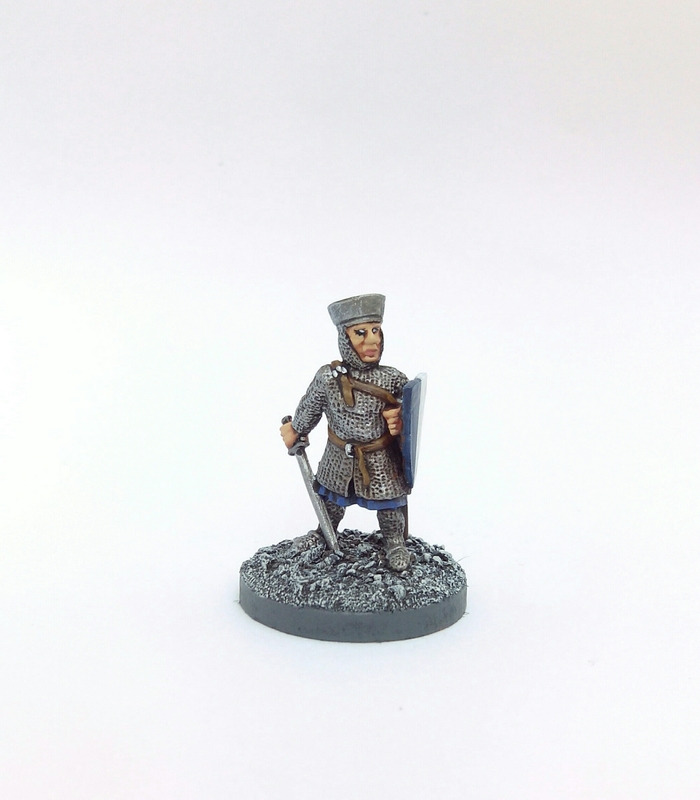 I sent off for an Essex Miniatures catalogue and this time instead of just idly perusing I actually ordered a couple of ancient DBA armies in 15mm. I wasn’t disappointed. They were wonderfully sculpted, painted up beautifully and were inexpensive to boot. And then, for reasons unknown, I once again forgot all about Essex Miniatures. Fast forward 25 years and a job lot of old miniatures purchased from eBay stirred my interest in Essex again. They’re still going and of course offer online ordering nowadays however somethings never change; not every figure has a photo, the Amazons are still dodgy (although none of them are portrayed as victims so there’s a minor plus) and not every sculpt is great – some could even be described as absolute howlers that were terrible even 35 years ago. After choosing a mix of fantasy and medieval figures I placed an order and it arrived very promptly. Behold! Not a bad miniature amongst them in my opinion. Some of these figures were originally sculpted in 1981 whilst others are from slightly later – 1986. The keen eyed amongst you will spot the sculpting talents of Bob Olley here, pre-Iron Claw Miniatures. All came without problem mould lines or excessive flash which can often marr older sculpts and moulds. Splendid stuff. 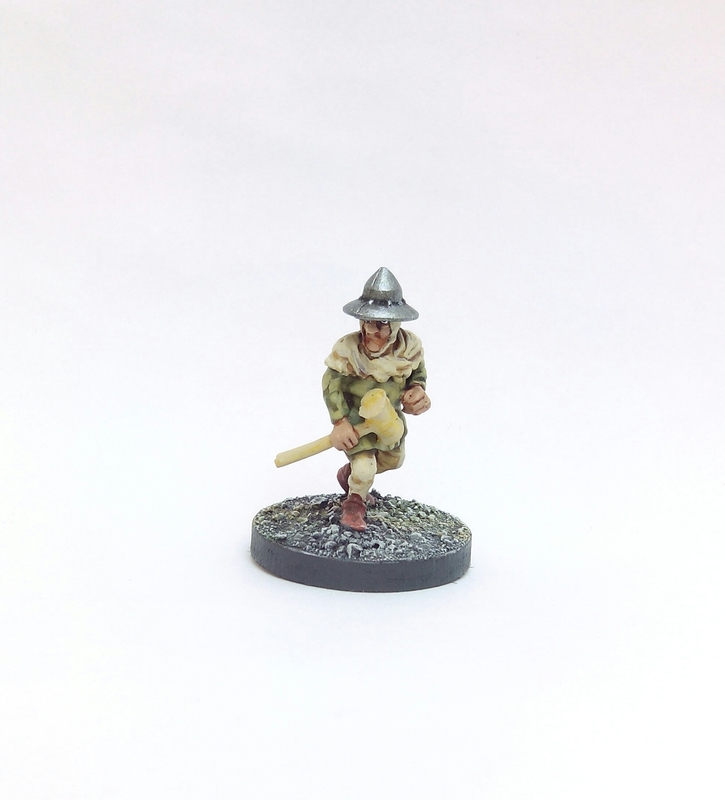 Please give Essex Miniatures consideration if their postage rates are sensible for you. 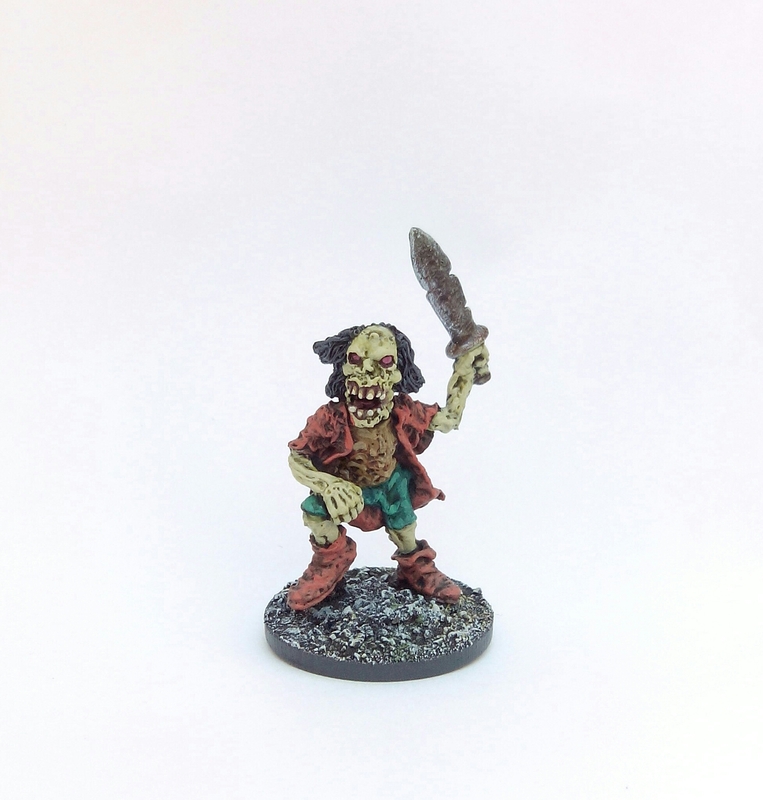 Here’s the Bob Olley Zombie figure from above painted up for use in my D&D game with the Cleric who enjoys the ‘Animate Dead’ spell a little too much. 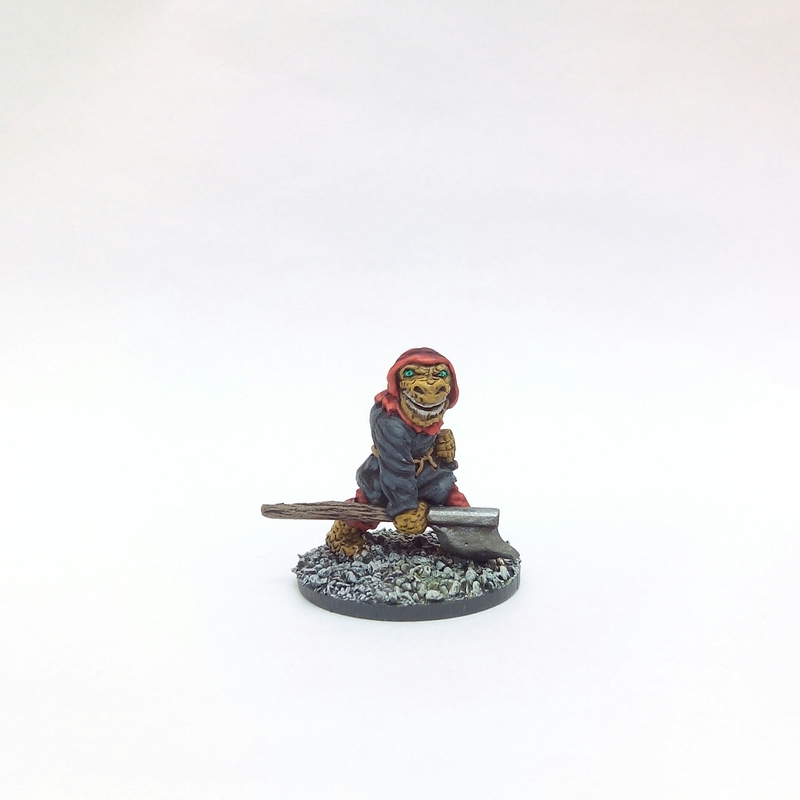 This entry was posted in 1985-1990, Pre-1985 and tagged Essex Miniatures, Zombie on August 20, 2017 by Hobgoblin Orange. 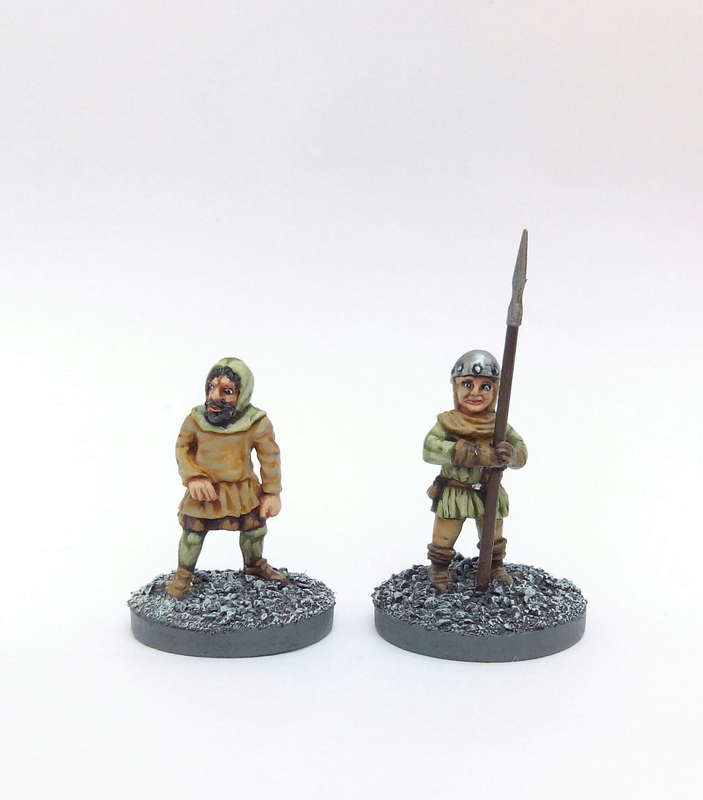 Another couple of medieval figures from the job lot painted up for Frostgrave. 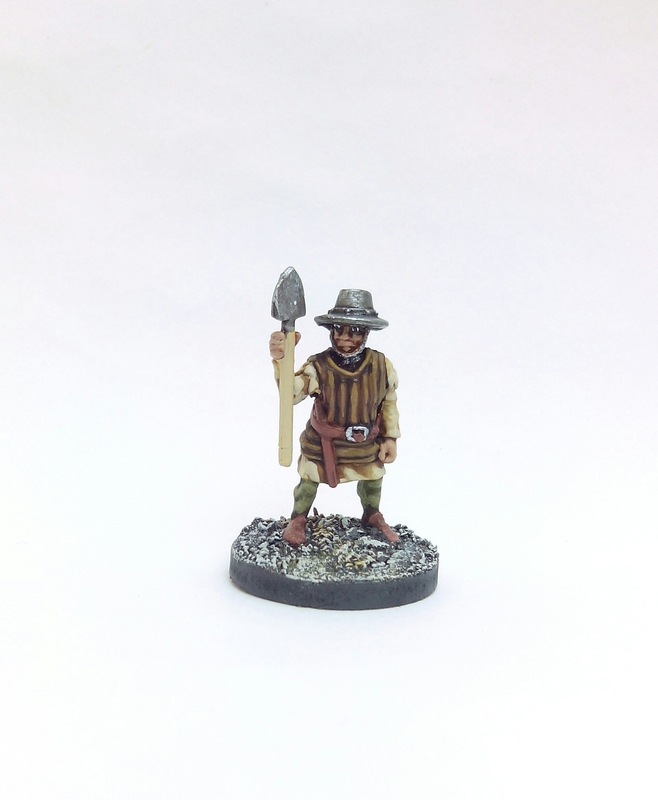 The second figure is from Essex Miniatures and is actually a Medieval Sapper/Miner. He has a shifty peasant look about him (Psst! Wanna buy some dung? 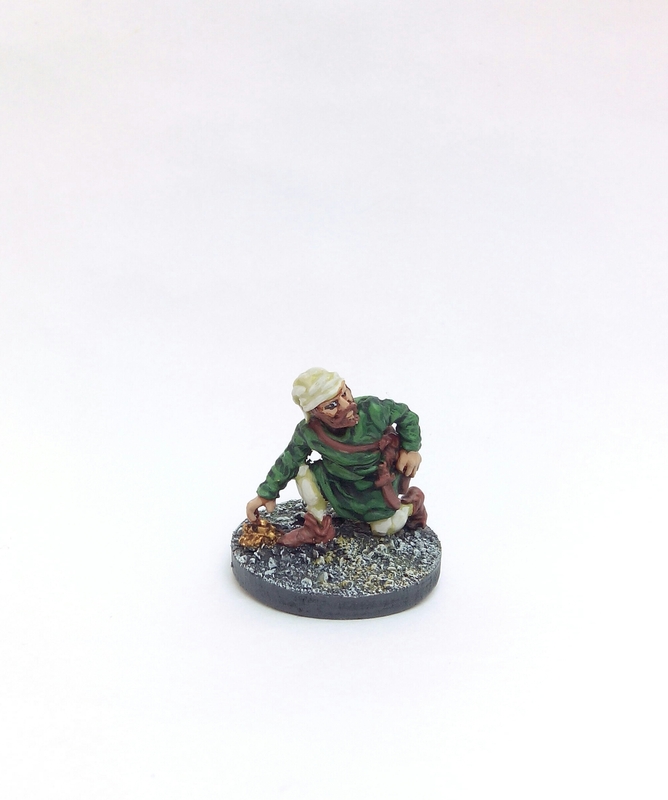 Only a farthing…) so I think he’ll make a good thief in Frostgrave. This entry was posted in Pre-1985 and tagged Essex Miniatures, Frostgrave on March 26, 2017 by Hobgoblin Orange. ​First things first – I’m not dead yet. I hope you’re not either. 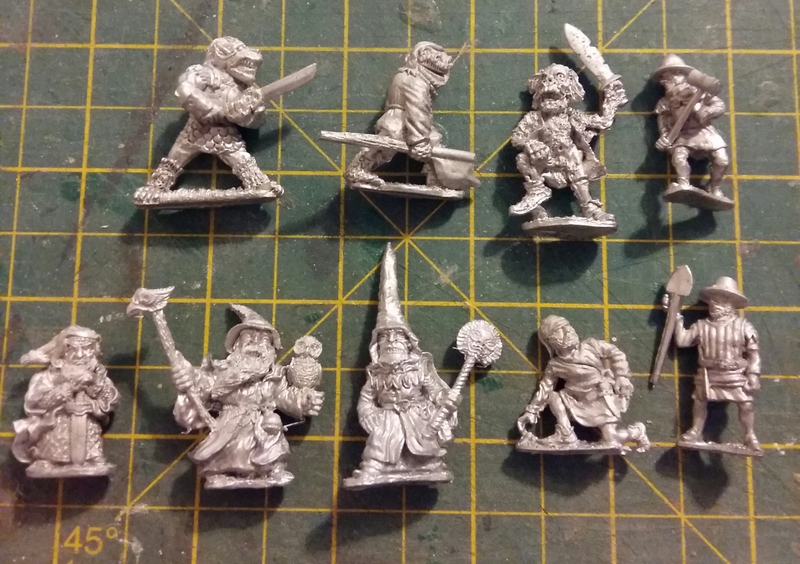 I bought a job lot of mostly Essex Miniatures Medievals off eBay to help boost my Frostgrave Soldier collection knowing they were simple sculpts that could be quickly painted up. 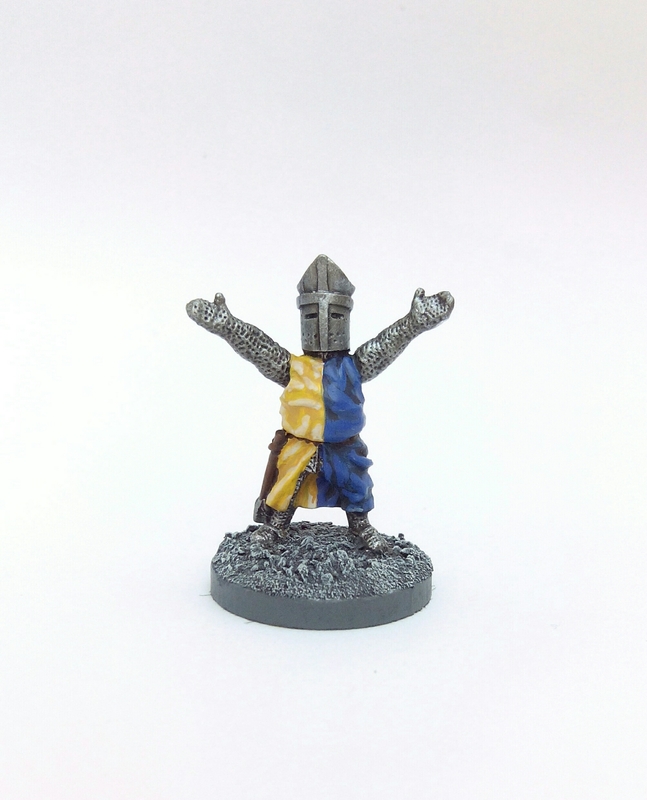 So first up is a foot knight treated to a simple paint job. The second figure is more interesting as it’s a Bishop miniature that has always made me smile when looking through the Essex website. He’s probably best described as a portly gentlemen, clearly more used to elbowing his way to front of the monastery lunch queue than the battlefield. It looks like he’s giving it a good go though with a rousing sermon to convince the wary serfs that death is all part of their duty to the Lord, and that this unquestioning loyalty will ensure their souls avoid purgatory. In Frostgrave he’ll just be used as a Knight. This entry was posted in Pre-1985 and tagged Essex Miniatures, Frostgrave on January 29, 2017 by Hobgoblin Orange. 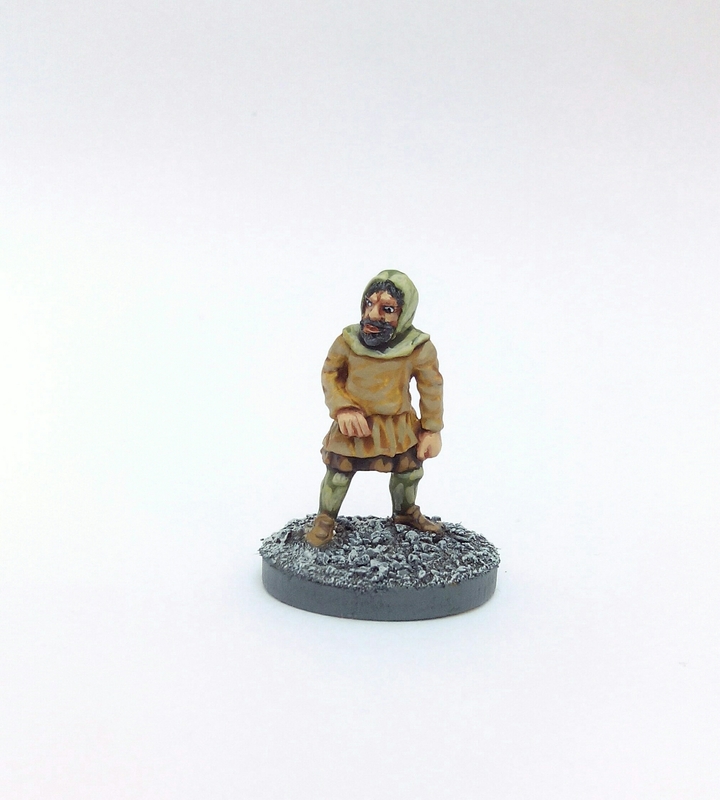 Back on track however, this Ral Partha piece is a great sculpt and shows Mr.Olley’s skills off beautifully. If I have one small criticism though it’s the outstretched hand – no detail on the upward facing palm or fingers, it’s pretty much a flat piece of metal. Was this miniature originally designed with extra items to sit on the hand? 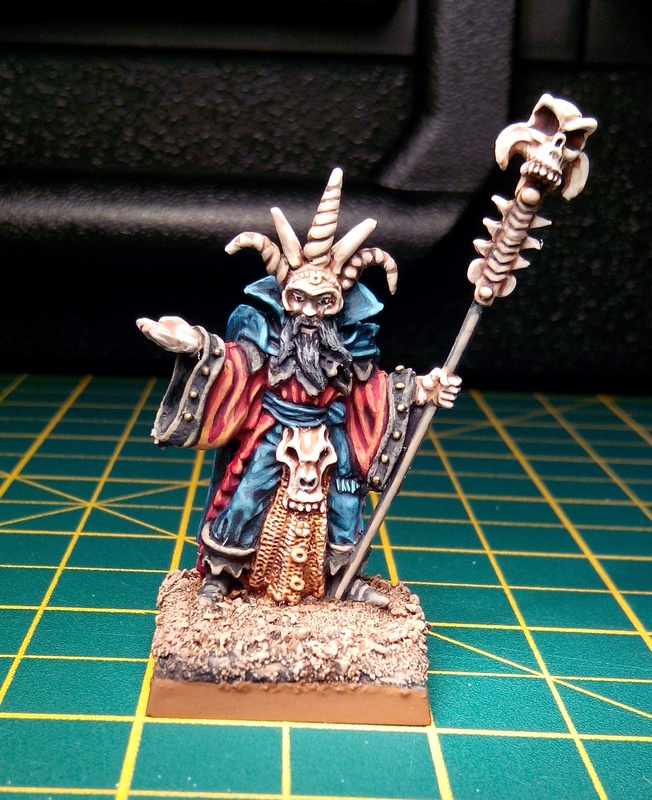 This entry was posted in Post-1990 and tagged Bob Olley, Essex Miniatures, Ral Partha, Wizard on November 13, 2014 by Hobgoblin Orange.